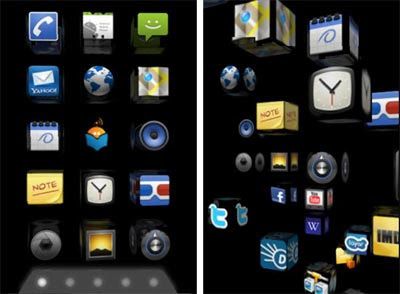 Homescreen 3D Android is a visually dynamic 3D Home Screen replacement desktop app using OpenGL ES for your Android Phone. Selectable 3D cubes float in space in a vertically scrolling layout. Works on almost all Android pohnes. Please rate and comment it..